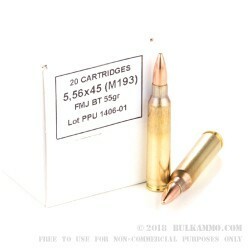 Looking to save on some bulk, high-quality, military grade 5.56x45mm? The Prvi Partizan 5.56mm battle pack contains 200 rounds of 5.56 loaded to M193 specifications. 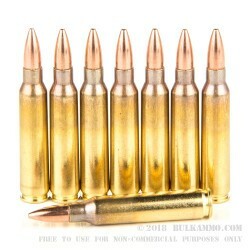 These rounds contain a 55-grain full metal jacket boat tail projectile, loaded into boxer primed, noncorrosive reloadable brass cases. 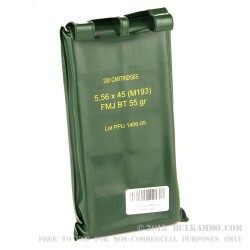 Made for long-term storage and easier to carry than an ammo can, these packs are great to stock up on or carry into the field. The boat tail design makes for an extremely accurate projectile and is perfect range day fodder for your AR or Mini-14. As one of the largest and oldest manufacturers in Europe, Prvi Partizan has supplied munitions to Serbian government and police forces as well as many other countries across the world. Producing more than 400 different kinds of rifle and pistol ammunition, PPU is one of the largest manufacturing companies of its kind. With a legacy of quality spanning more than 90 years, PPU continues to be a leader in ammunition technology and production for civilians and militaries. 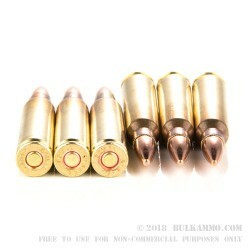 Q: Is this ammo corosive? A: Hello Ryan, Priv Partizan 5.56 ammunition is manufactured with all Non-corrosive components.